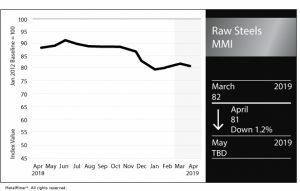 According to Bank of America Research Analyst Timna Tanners, Steelmageddon looms on the horizon due to massive planned capacity increases in the U.S. steel industry. 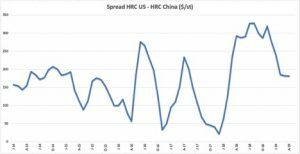 Her analysis indicates the equivalent of around a 20% capacity increase when aggregating investments across companies and production methodologies over the next few years. 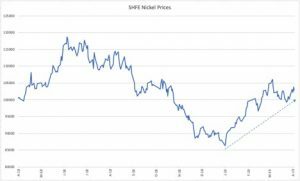 Due to the massive ramp-up, the Steelmageddon theory predicts 2022 or so as the time when we may see greatly suppressed prices, and therefore rampant mill closures, due to a steel supply glut in the U.S. 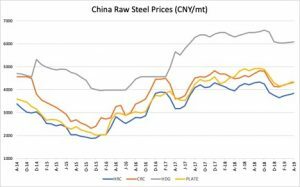 Meanwhile, in recent years, the Chinese government policy for the steel industry focused on capacity reduction and shutting down outdated plants. 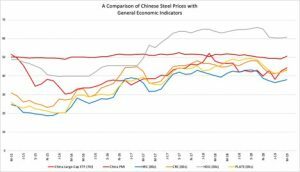 These closures resulted in an estimated reduction of 300 million metric tons of China’s steelmaking capacity. 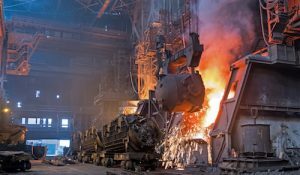 In addition to these outdated blast furnace steelmaking facilities closing during the past few years, others still in operation face ongoing production restrictions during pollution alert periods. While some outdated capacity closed, other facilities with the latest technology brought new capacity onstream. This “upgrade strategy,” if we could call it that, could have profound ramifications. 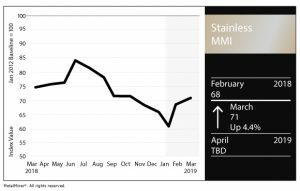 The Copper Monthly Metals Index (MMI) increased by 3.9% this month, reaching an MMI value of 79. 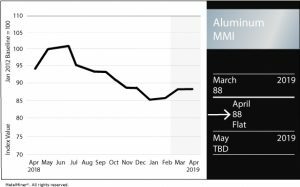 With a seven-week sustained increase in prices, the rally may be over for the metal. 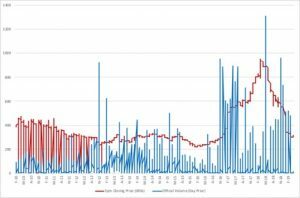 Trading volume dropped off in late February and the price moved sideways once again in early March. 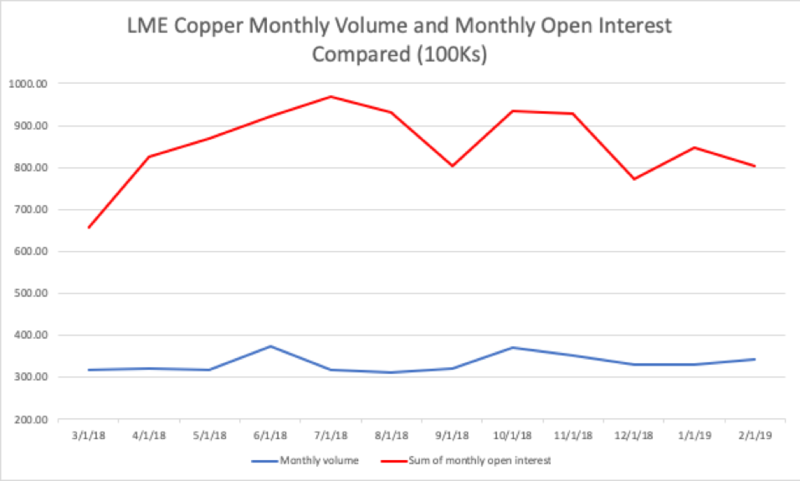 With week-on-week price gains for seven straight weeks, LME copper prices reached a high of around $6,500/mt before retreating back to $6,477/mt in early March trading, finally exceeding the $6,380/mt price point around which it oscillated since July. 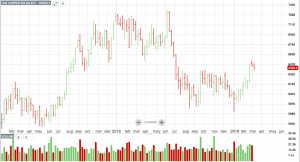 While higher prices indicate bullishness, falling trade volumes appear as bearish; therefore, with mixed signals, the price has begun to move sideways overall. 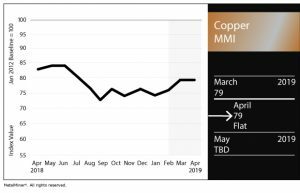 From a longer-term perspective, LME copper prices remain within their historical trading range. 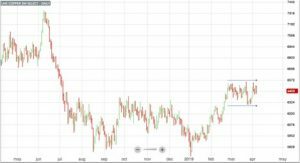 In 2011, copper reached $10,000/mt and higher prior to a long-term downtrend. 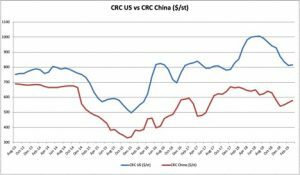 The market bottomed out in 2016 around $4,600/mt before retracing and oscillating at around $6,000/mt during the first half of 2017. 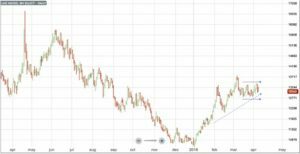 We can see that a previous eight-week rally preceded a longer-term sustained price uptrend during 2017. 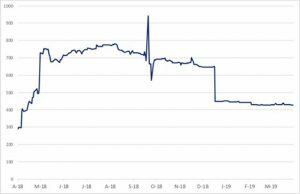 On this basis, perhaps we could see more pricing upside, but the rally appears to have softened as of press time, turning around at $6,500/mt. 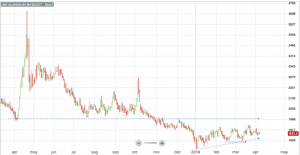 The price has no soared quite as high as it did previously. 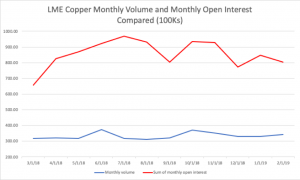 Based on current mixed signals, as monthly open interest dropped in February and monthly volume only edged up very slightly, there may not be as much upward momentum as might otherwise be expected for copper prices. 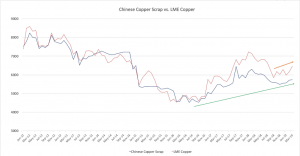 While LME copper and Chinese copper scrap prices both increased in February, the latter increased only slightly. 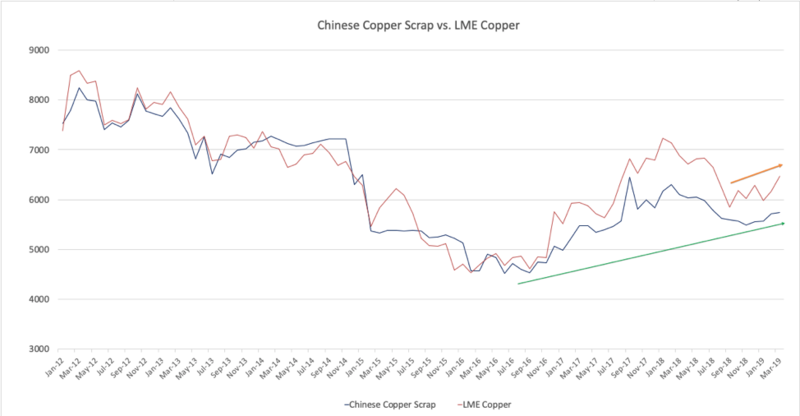 The price differential increased as LME price increases outpaced copper scrap price increases. 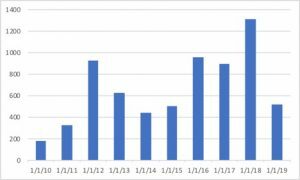 LME warehouse stocks trended downward throughout the year, supportive of higher copper prices. 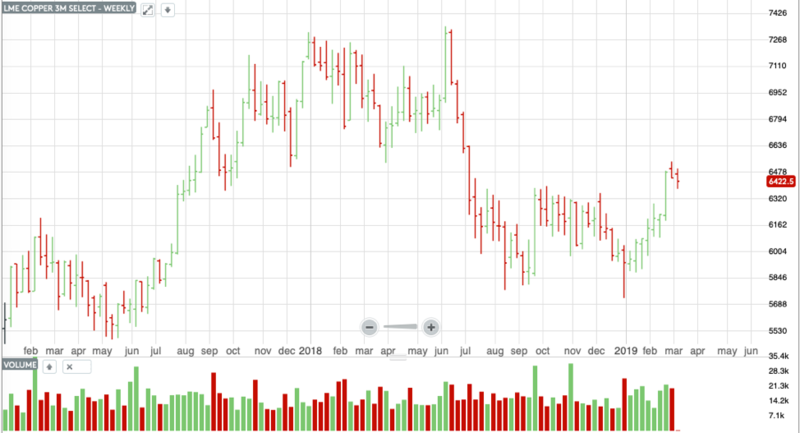 According to Reuters, LME-registered warehouse stocks fell to 21,600 tons and remain at their lowest point since 2005. 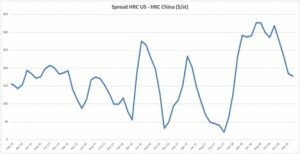 However, some of this decline may be attributable to new LME warehouse rules that make it more difficult to generate a return; therefore, excess available stocks might not get deposited into LME warehouses. 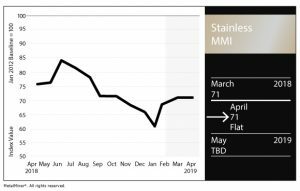 Additionally, stocks of the metal in SHFE warehouses hit 227,049 tons in late February, following cyclical restocking at the start of the year, which more than doubled the volume available following a recent low of around 100,000 tons in late 2018. 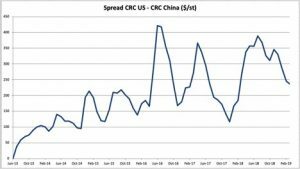 According to the International Copper Study Group (ICSG), refined copper production has fallen short of demand for multiple years now. 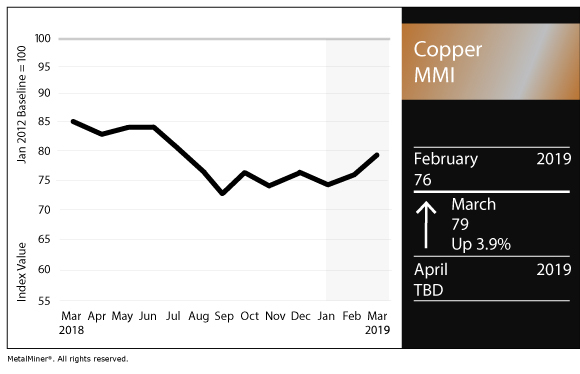 Supply shortages are bullish for prices, which may have also pushed LME copper prices higher in early 2019. 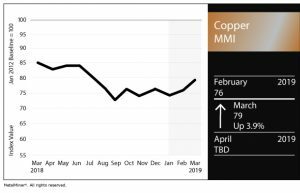 Following the recent seven-week price rally, copper prices finally breached the $6,380/mt level, signaling that copper could be heading back into higher pricing territory. 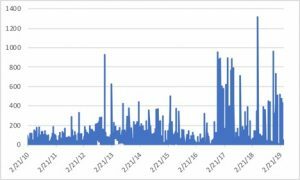 On the other hand, lower trading volumes signal bearishness. 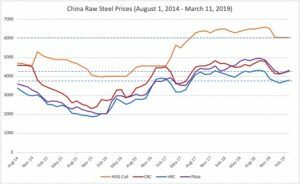 It’s possible that significant LME shadow stocks, buoyant Chinese supplies of the metal and weak domestic demand in that country may act as price moderators, keeping prices in check. 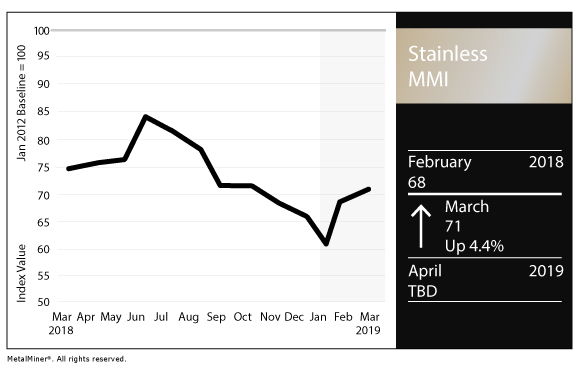 In February, like January, the Copper MMI basket increased, with the sole exception of Korean copper strip, which fell by 3%. 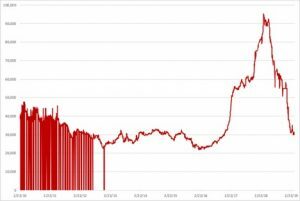 India’s copper cash price saw the biggest gain at 6.5%, closely followed by Japan’s primary cash price, which increased 6%. 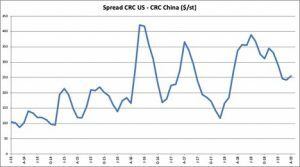 Most of the remaining metals in the basket increased in the 4-5% range, with the exception of China’s copper #2 scrap price, which was up 0.47%.